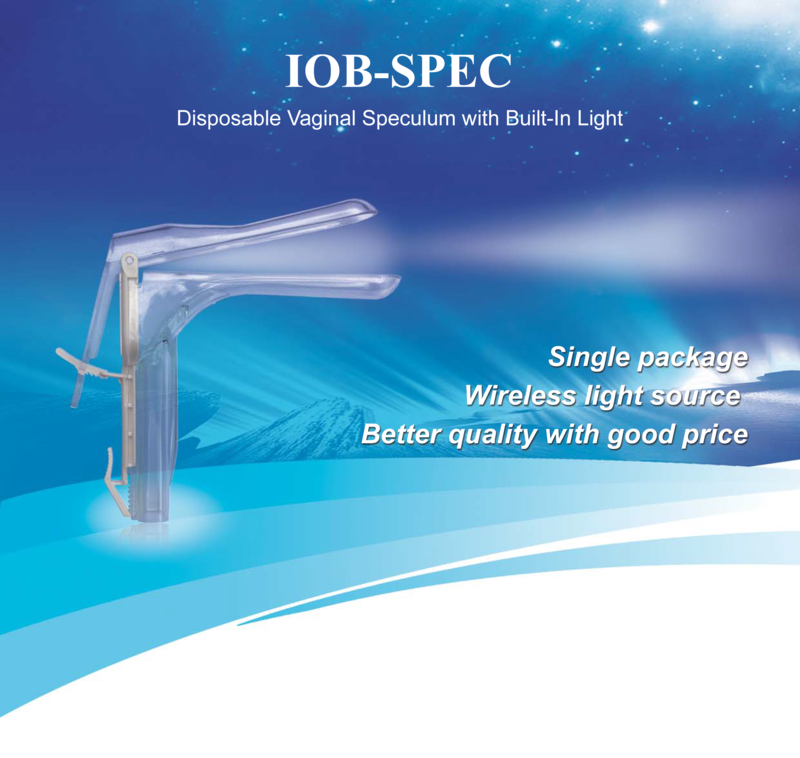 IOB Speculum is a disposable vaginal speculum with a built-in LED light. Made of clear non toxi plastic. This single packaged consumable device helps doctors to control cross contamination. The unique light slot design generates uniform light distribution without obvious shadows, providing a wider field of vision and a more clear resolution. IOB Speculum is a good solution forr gyneacological uses in clinics, physician offices, emergency rooms, and urgent care centers.